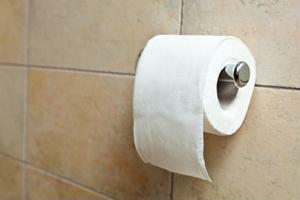 Though you may have missed it, August 26 was National Toilet Paper Day. While normally a federal holiday on which schools are closed and police set up drunk driving checkpoints (a necessity, thanks to excessive partying), this year's celebration fell on a Sunday, and so was somewhat subdued. Some might scoff at National Toilet Paper Day and others might just scratch their heads at its obfuscated history, but the United States has a long history of inane commemorative holidays. More often than not, if you can think of an obscure topic or even toiletry, there's a day for it. America enjoys setting up a certain irreverent contrast to the United Nations (UN) and its choice of national holidays. For instance, this year's TP Day fell between the UN observances for the International Day for the Remembrance of the Slave Trade and Its Abolition on August 23 and the International Day against Nuclear Tests on the 29th. Not only does the UN have a proclivity for wordiness, but it seems to take its national holidays much more seriously. Why would someone want to be reminded of the horrors of the Middle Passage or the unparalleled dangers the Manhattan Project unleashed upon the world, when they could just celebrate two-ply Cottonelle? So what did you do this National Toilet Paper Day? Perhaps you headed to Flushing, New York, not merely to celebrate one of the most successful municipal names in the world, but to attend the 2012 Toilet Paper Election rallies held there. As voters geared up for a battle between Charmin Ultra Soft and Ultra Strong, the leading TP company asked that fans across the country visit the brand's Facebook page and cast their ballots. The winner won't be announced until later this fall (the counting process is apparently much more thorough than our nation's electoral college - not that this will surprise anyone), but in the meantime, Charmin devotees can visit the site and enter to win various prizes. "Charmin's variety of product choices has something for everyone," company communication manager Laura Dressman said in an official Charmin press release. "We're leaving it up to the public to tell us how they 'enjoy the go' by voting for their favorite product." This should have bathroom enthusiasts nationwide excited, at least until National Soap Dispenser Week kicks off next month.